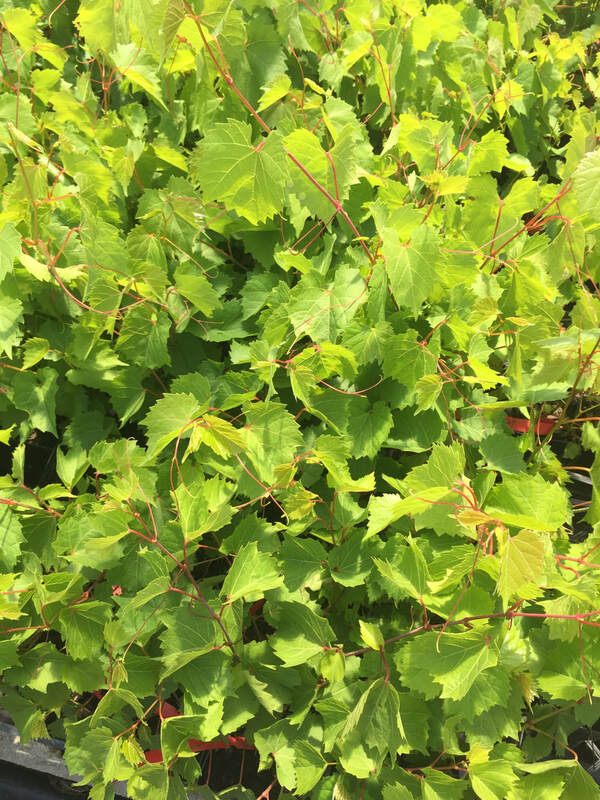 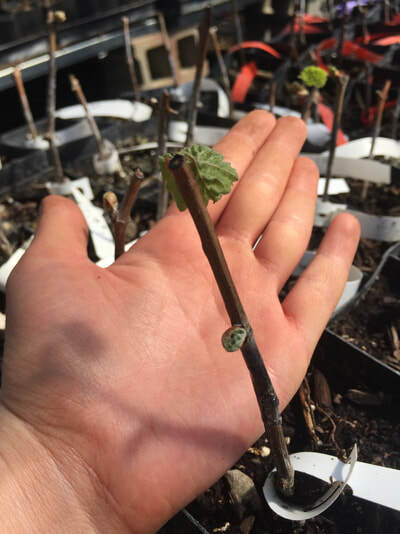 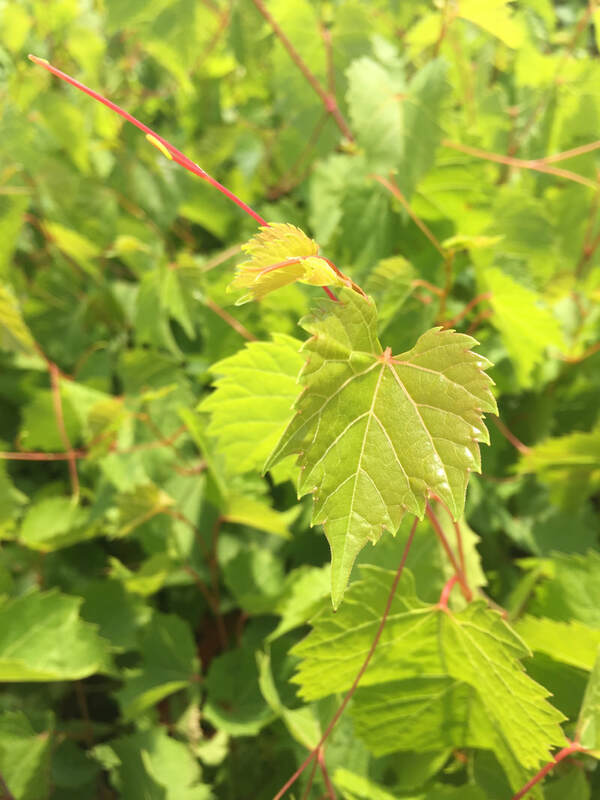 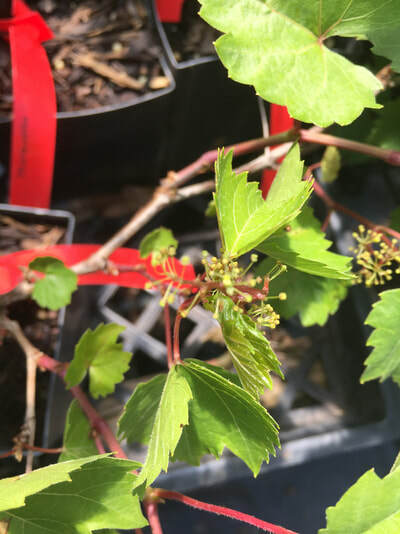 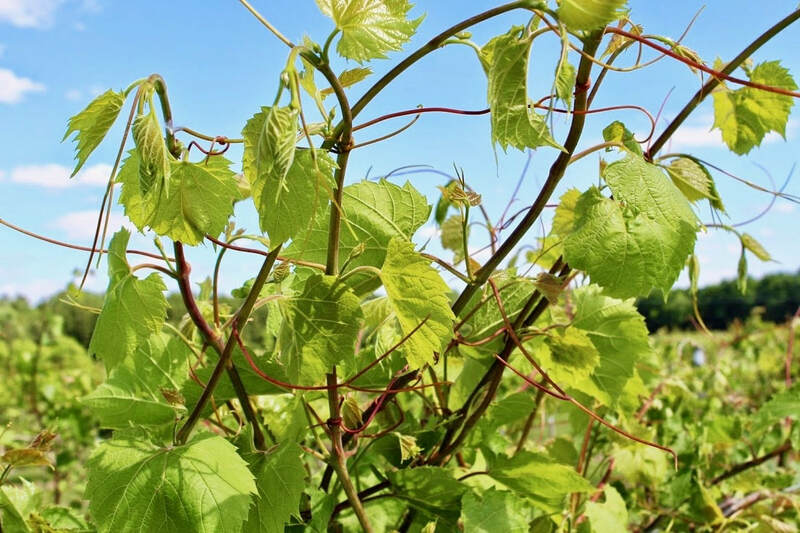 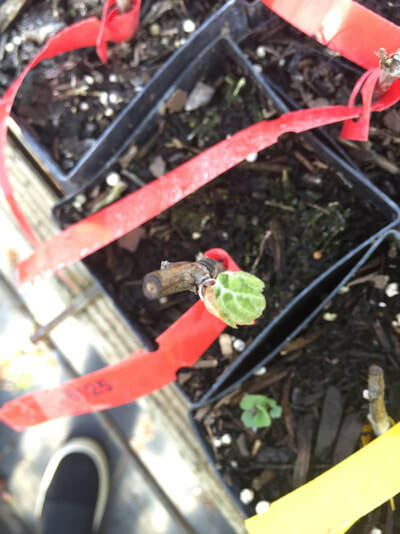 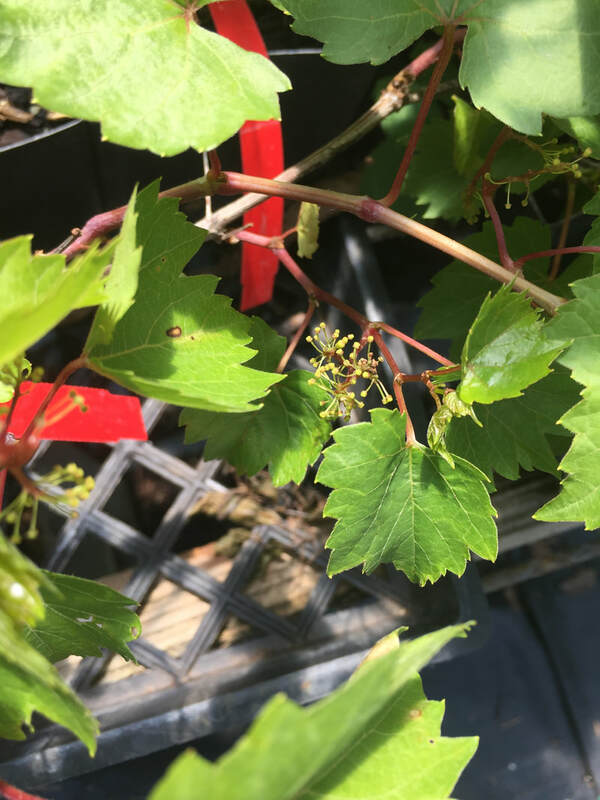 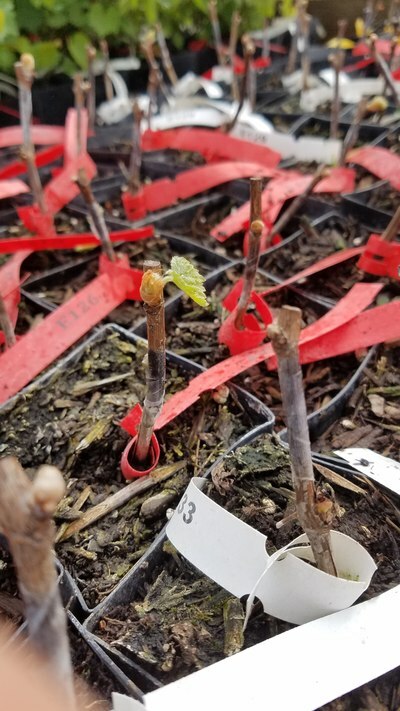 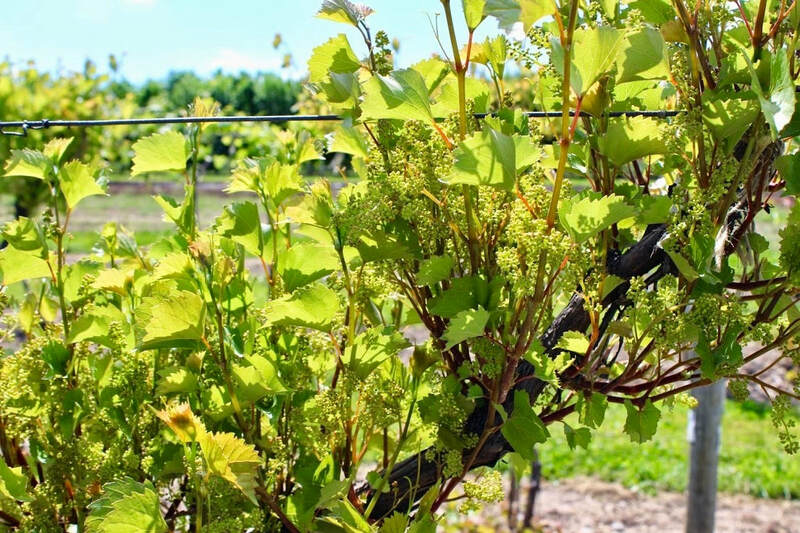 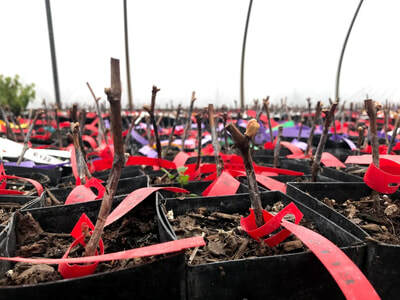 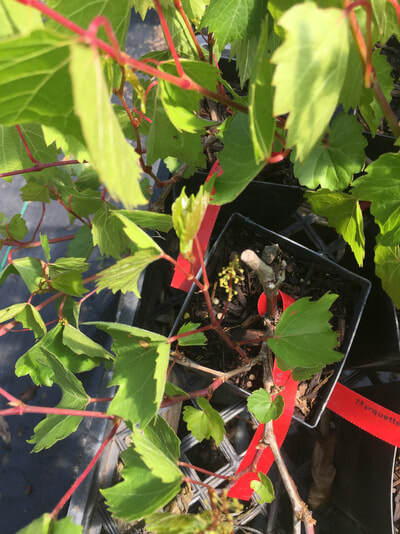 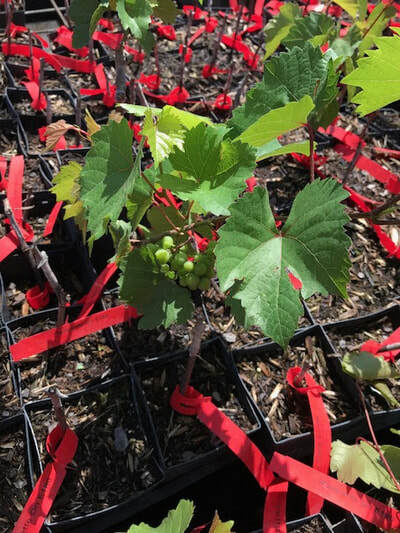 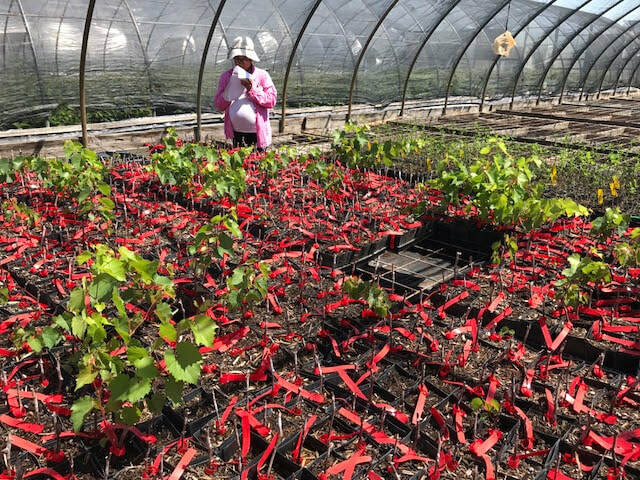 Aim 3 gauges genotype x environment interactions by examining vegetative, reproductive, physiological, and transcriptomic traits of a single grapevine scion ‘Marquette’ grafted onto a segregating rootstock mapping population. 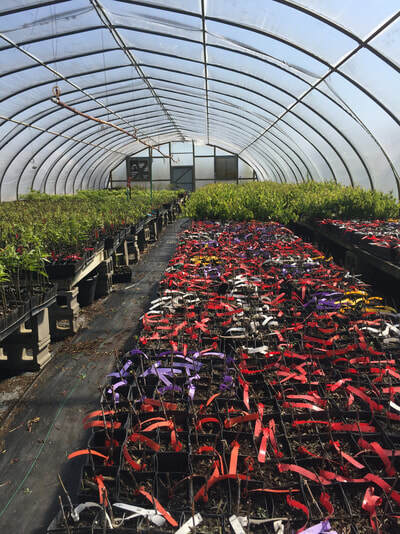 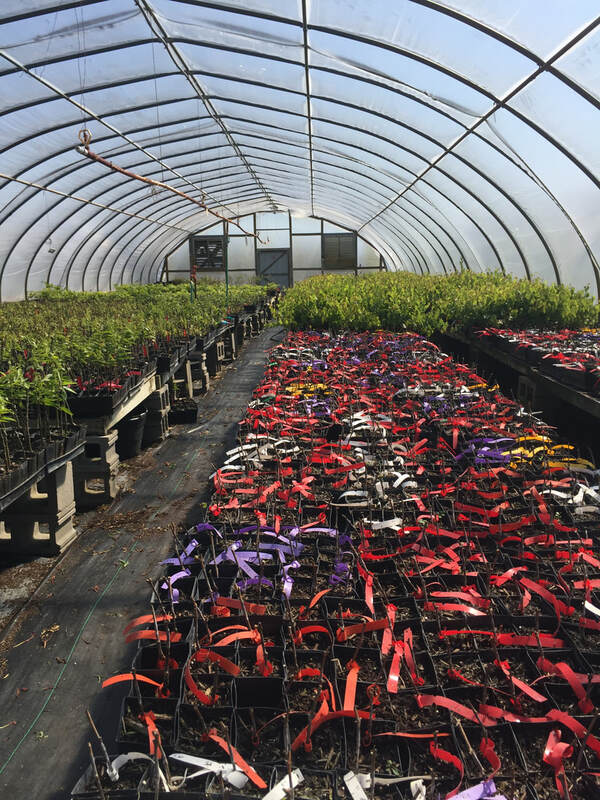 Clones of 200 rootstock genotypes; Forrest Keeling Nursery. V. rupestris x V. riparia rootstock mapping population, Geneva, NY. 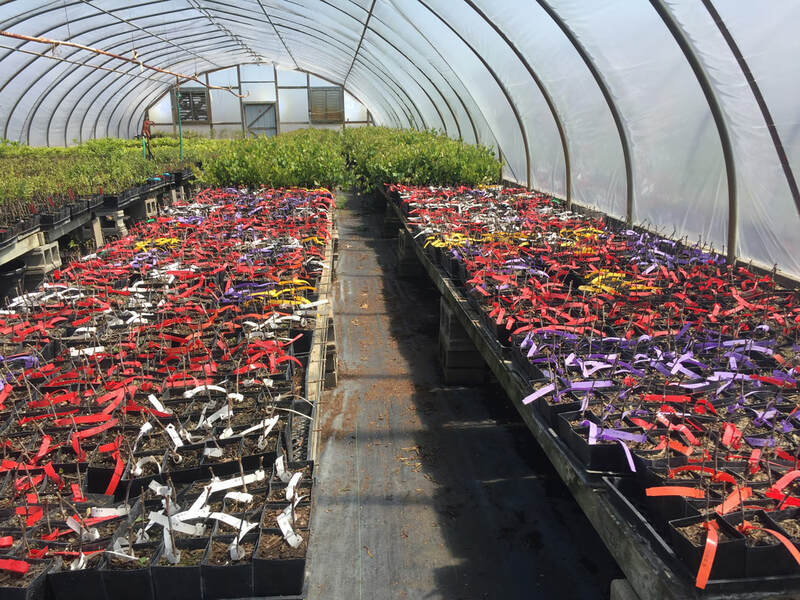 We generated a F1 mapping population (‘V. rupestris B38’ x ‘V. 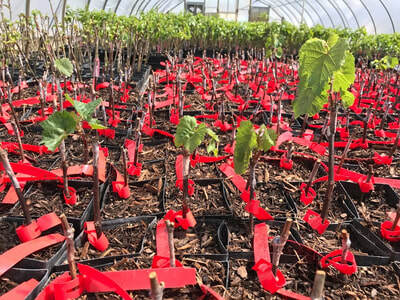 riparia HP-1’), and clonally propagated its young plants, producing a core set of 200 rootstock genotypes. 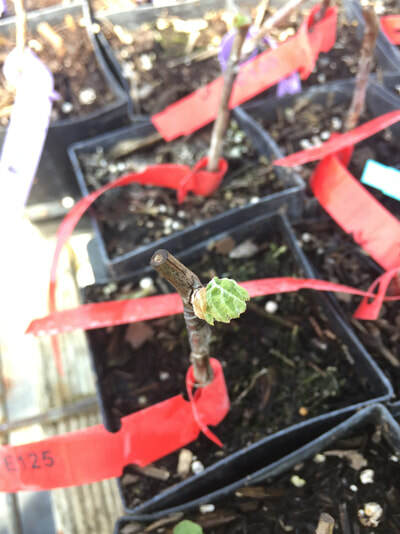 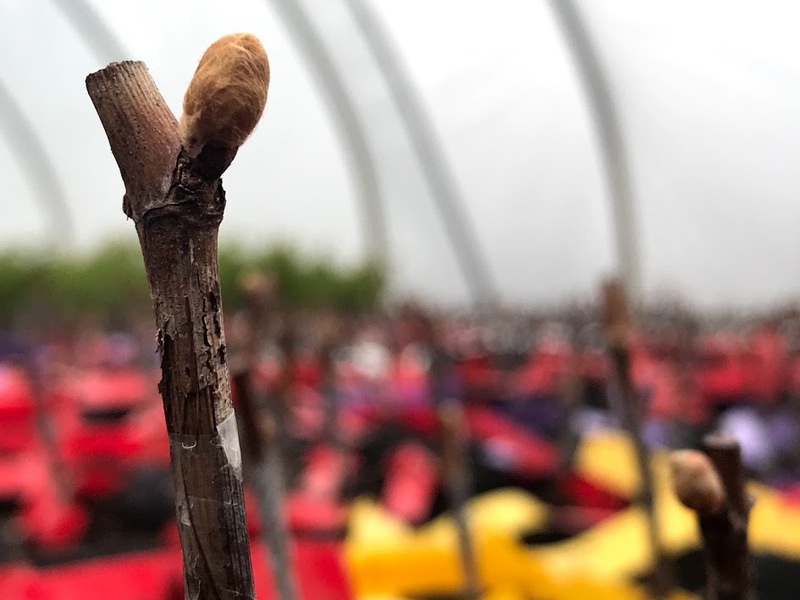 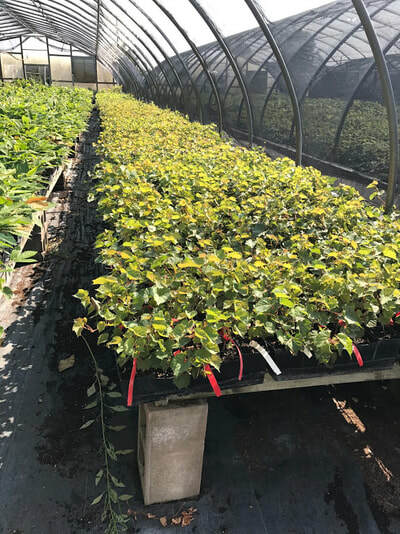 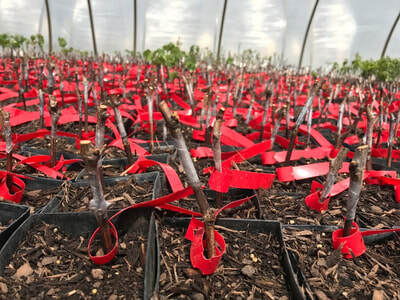 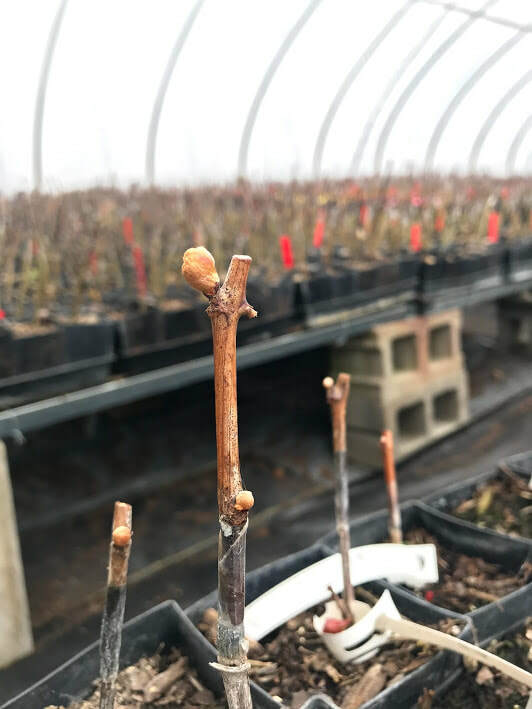 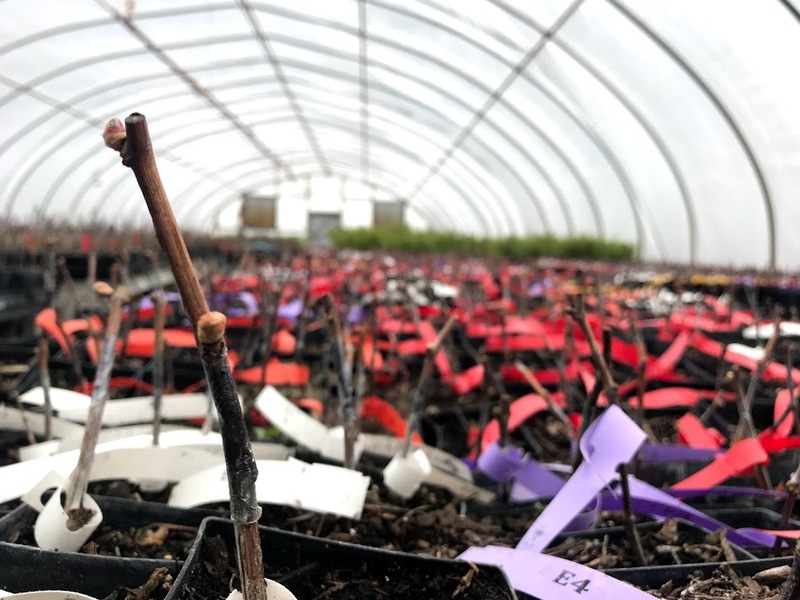 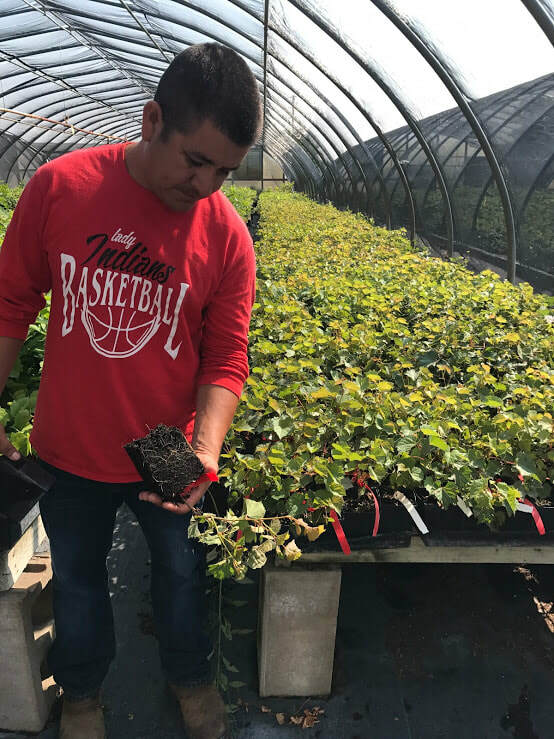 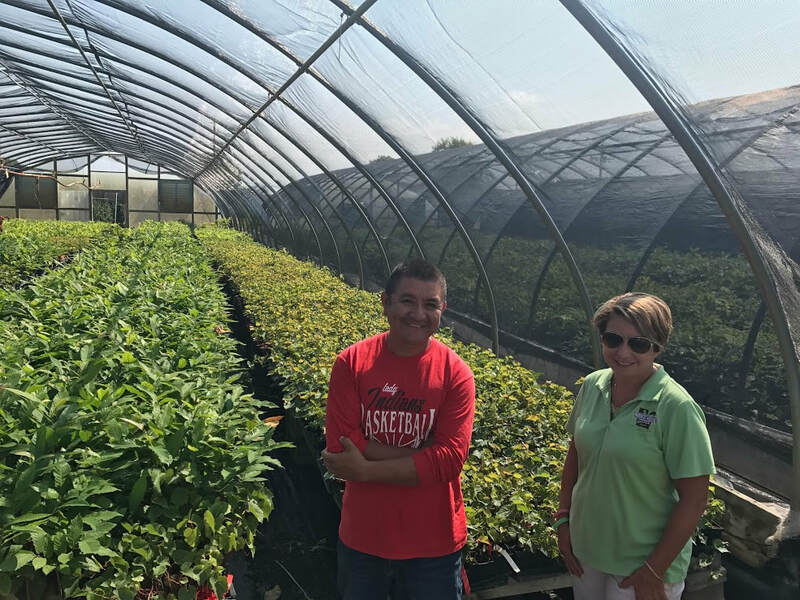 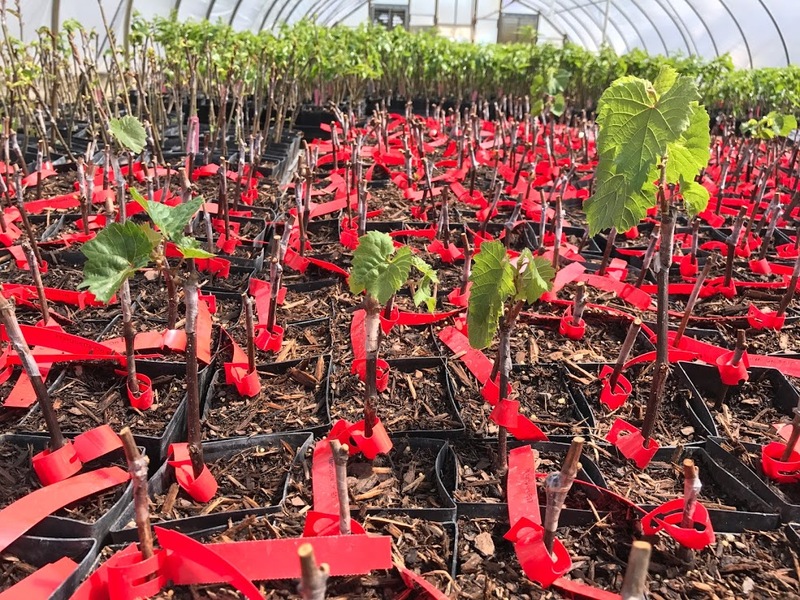 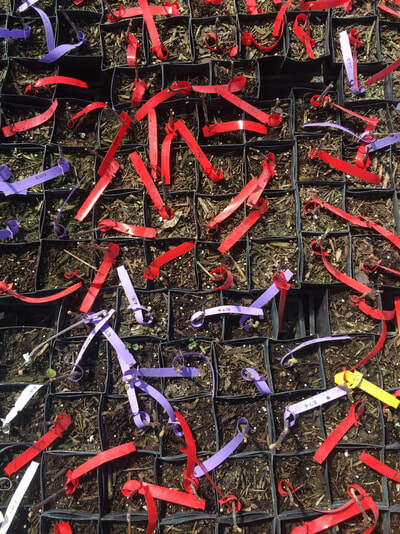 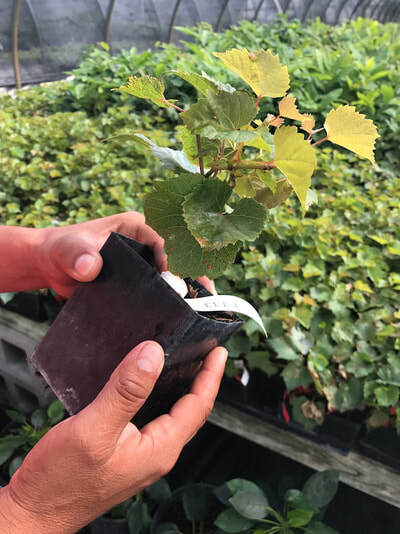 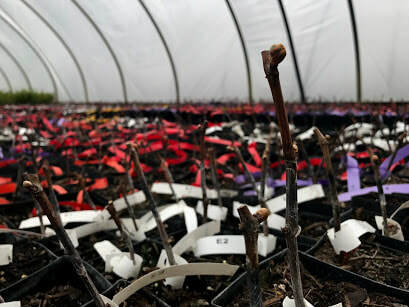 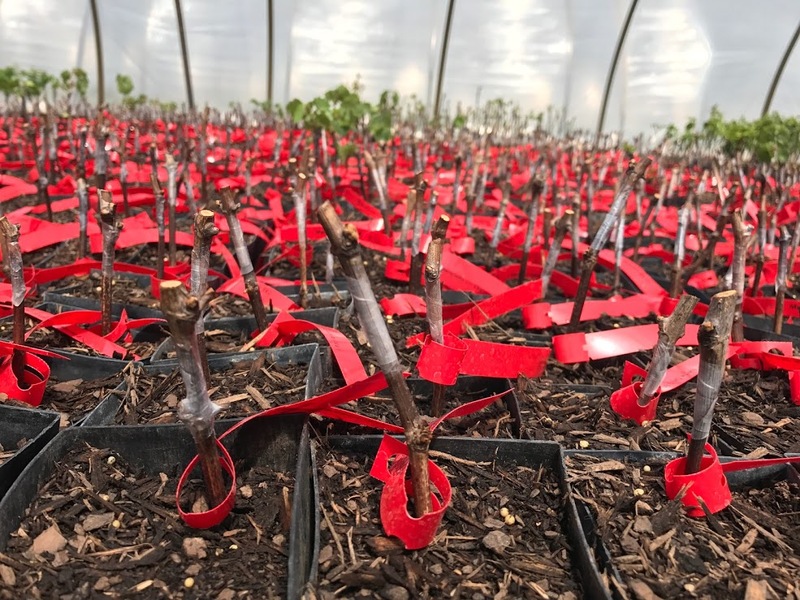 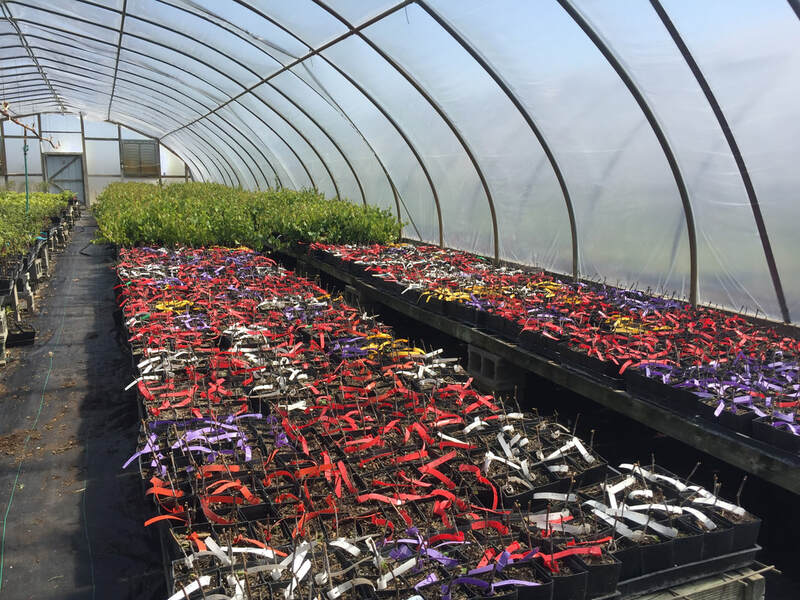 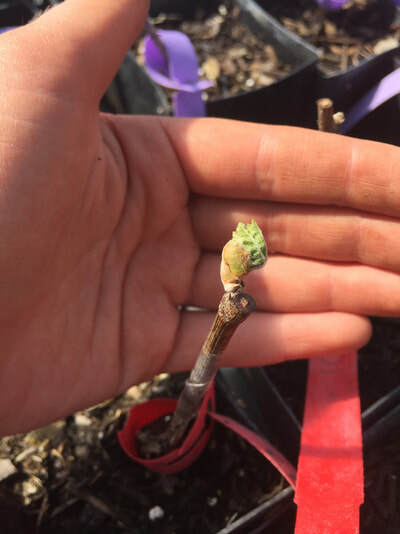 These rootstocks will be grafted with ‘Marquette’ and grown for one year at Forrest Keeling Nursery in Elsberry, MO, prior to planting at each of the four vineyards (image, top left). 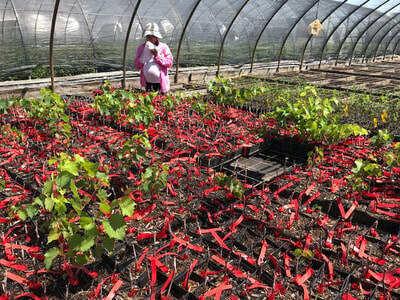 The rootstock genotypes will also be grown own-rooted, for comparison. 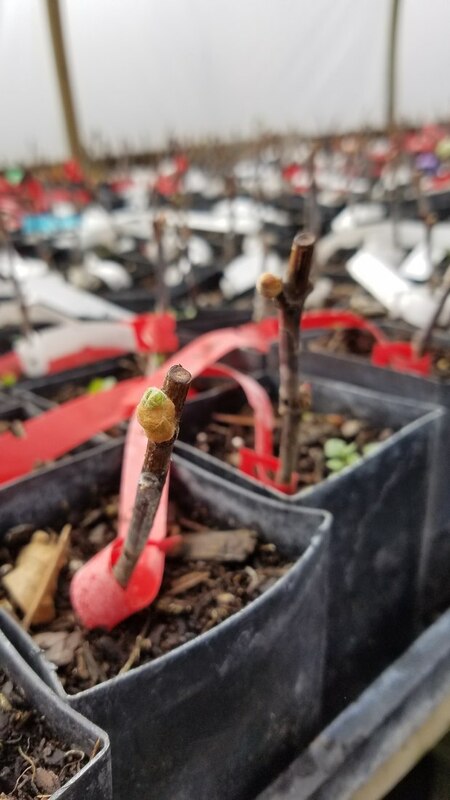 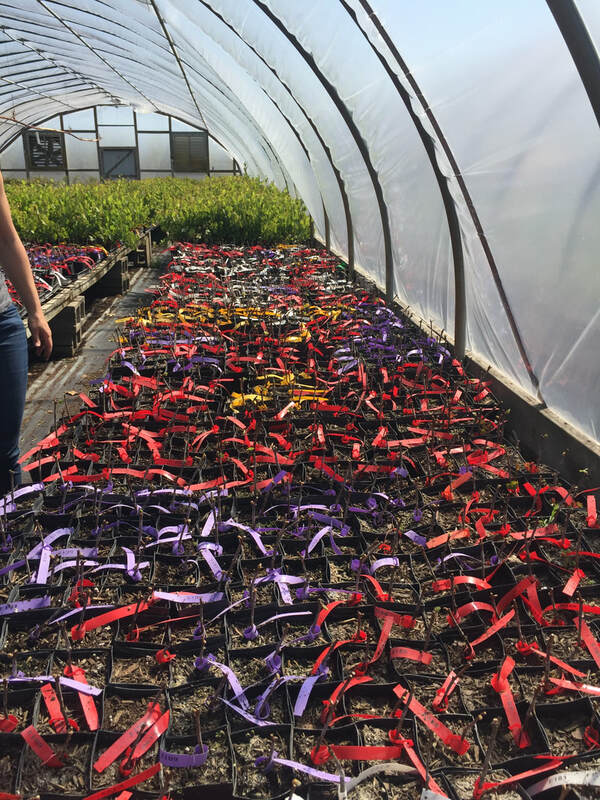 Phenotypic measurements will be taken in subsequent years for a subsample of the rootstock/scion populations in addition to tissue collection for gene expression analysis. 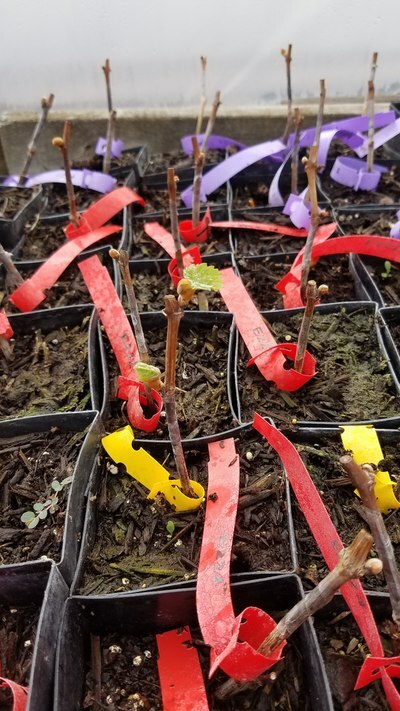 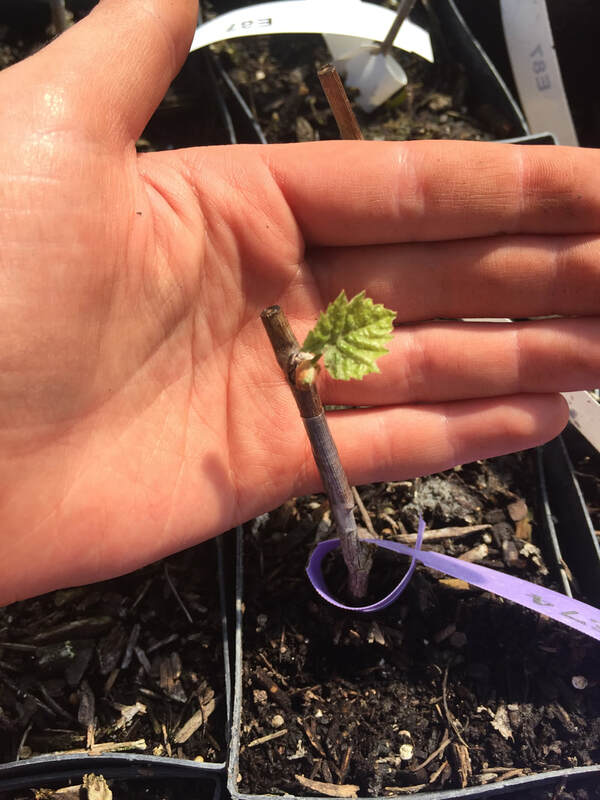 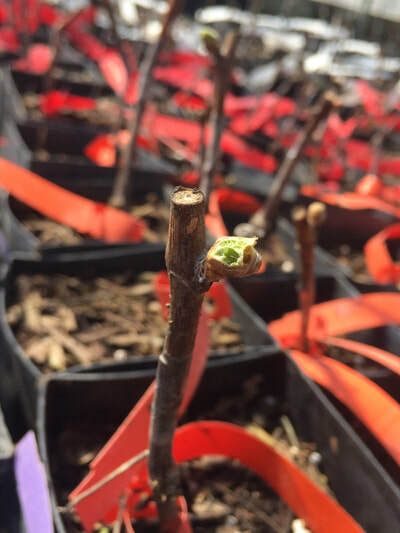 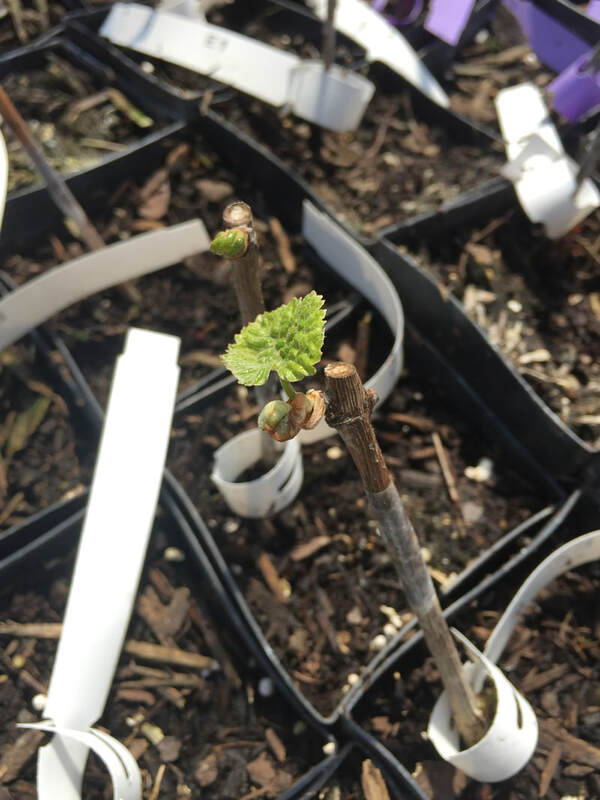 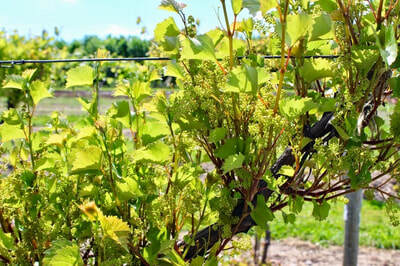 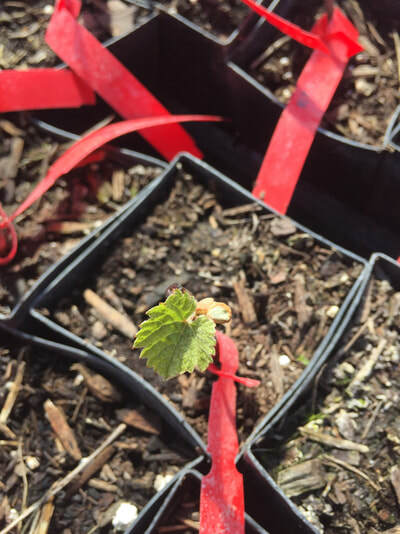 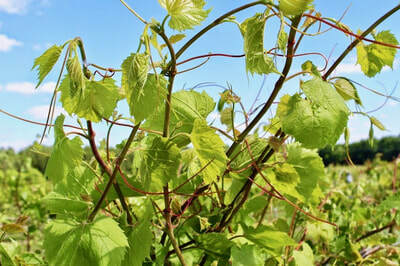 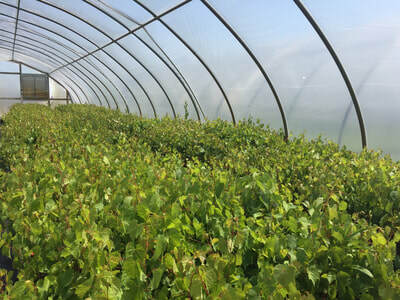 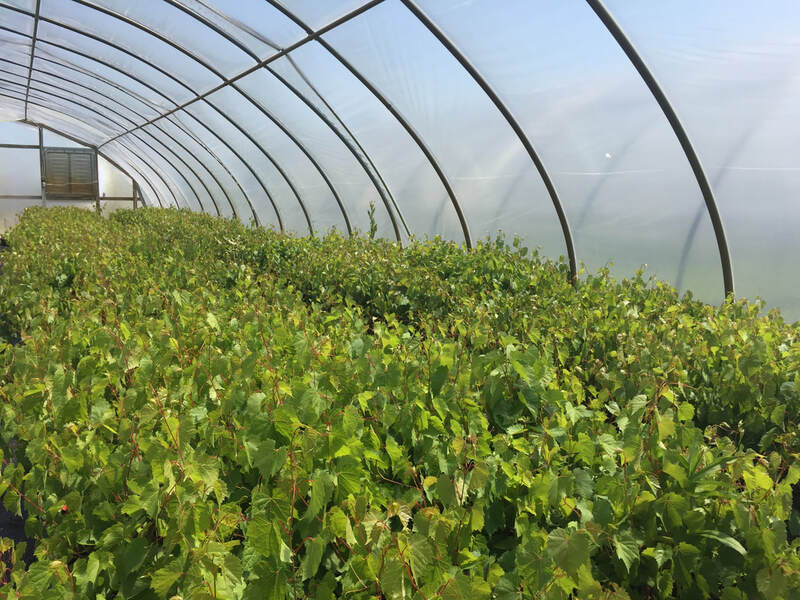 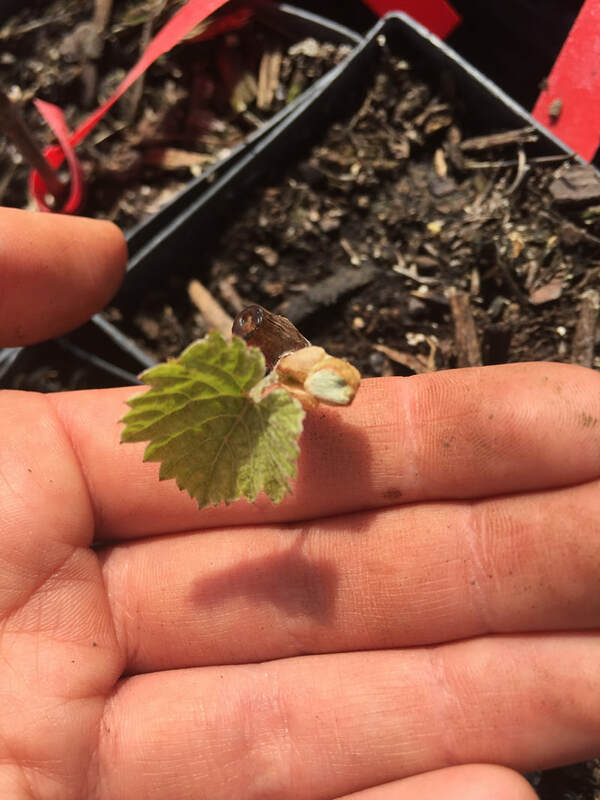 Please see the photo collection below to follow the growth and progress of our grafted grapevines.